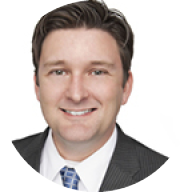 Mr. Jake Dorst has over 20 years’ experience in the Healthcare IT field. He joined Tahoe Forest Health System, located in Truckee, California, as the Chief Information Officer in 2014. In addition to serving as CIO, Jake took on the additional responsibilities of chief innovation officer in 2015. Under his leadership, the health system has moved from seven disparate EHRs to a single, unified patient record in November of 2017, the system recently completed a migration to HPE Aruba from Cisco for its wired and wireless networking infrastructure. The organization has also moved its virtual platform to hyperconverged infrastructure. Prior to accepting his current role, Mr. Dorst served as vice president and CIO of Hagerstown, Md.-based Meritus Health and before that engagement, Jake was the CIO of Petersburg, Va.-based Southside Regional Medical Center.